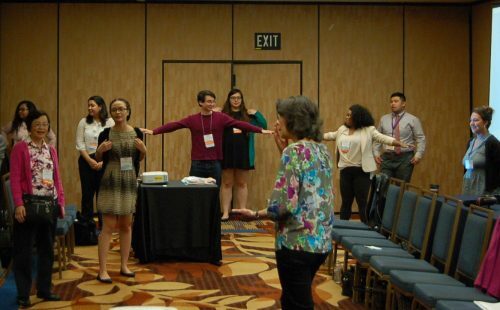 Star-studded keynote speeches, three-hour panel discussions, a concert and a seemingly endless schedule of workshops awaited attendees of this year’s National Conference on Race and Ethnicity in Higher Education, which took place in San Francisco last week. The first two days of the conference, May 31 and June 1, bustled with registration, full-day workshop sessions and two keynote speeches, and American River College students and faculty held a panel session. A delegation of more than a dozen students and faculty from the Los Rios Community College district were in attendance at the conference, representing all four Los Rios colleges. 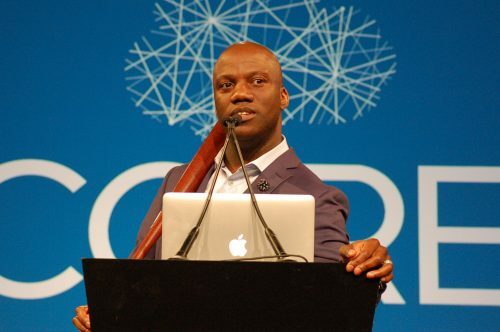 Now in its 29th year, NCORE, organized by the University of Oklahoma, welcomed 2,597 registered attendees, 567 presenters and five keynote speakers to the conference. The conference hosted 257 total sessions and workshops over five days. The first day of the conference began with registration and 26 “Pre-Conference Institute Sessions,” seven-hour specialized, in-depth discussion and study sessions. Pre-conference registrants also attended a luncheon during the hour break between the first and second half of their workshops. The first day of the conference concluded with a keynote speech from University of Pennsylvania professor and author Shaun Harper. Harper was recently named one of Education Week’s 12 most influential professors in the field of education for 2016, and serves as executive director for the Center for the Study of Race and Equity in Education. Harper framed his keynote speech, on institutionalized racism in higher education and lies told by the educational system to people of color, around Beyonce’s visual album “Lemonade,” which was released in April. Harper connected lyrics from “Lemonade” to instances of racism at colleges and universities across the nation. “Why do we love these white schools so much, when they don’t love us back?” Harper said. Harper said that “we need coalition” and that progress is much simpler when marginalized groups come together. In a post-speech interview with the Current, Harper said that his speech applied not only to four-year institutions with a majority of white students, but also to more diverse two-year campuses like American River College. “Even at racially diverse colleges, be they two-year or four-year colleges, they’re still fashioned in a white frame of higher education, meaning that this exclusive framework for what a college or university should be is rooted in whiteness,” said Harper. 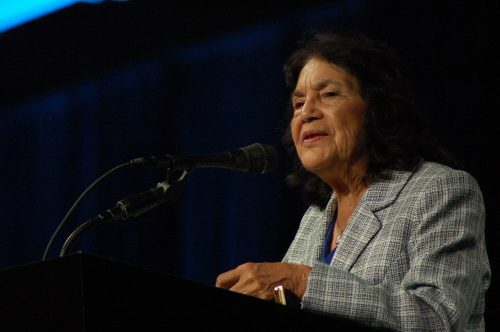 The second day of the conference, June 1, brought civil rights activist and labor leader Dolores Huerta to give a keynote speech. Huerta’s speech focused on education as the “new civil rights movement” and the importance of teachers and educators. The second day of the conference also brought ARC students and faculty to participate in a panel led by ARC sociology professor Pamela Chao. The panel included current and former ARC students Shelah Choyce, Meena Baxter, Timothy Lipuma and Jaimee Ann Nix, as well as ARC history professor Rudy Pearson. The panel also included singer, rapper and activist Aisha Fukushima. The panelists each shared their personal identities as people of mixed Asian heritage, and discussed the importance of intersectionality when exploring multi-racial ethnic identity. “I think ARC was really represented on this panel,” said Chao. “Students, former students, some faculty. And I’m just really, really proud of how the students performed. … I think they learned more about themselves. “They were risking a lot being vulnerable,” said Chao. The evening of the panel, hundreds of participants attended a dinner cruise on the San Francisco bay, hosted by NCORE. 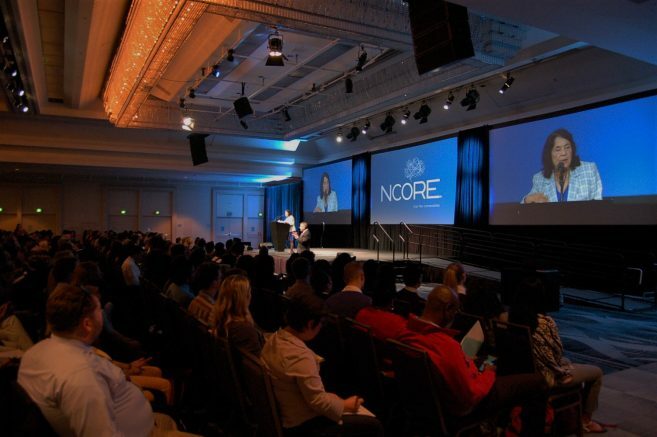 Be the first to comment on "NCORE welcomes students, faculty to annual conference on race"